"Prompt service, evaluated problem, had to order parts, fixed it next day, and honored the quote." "Technician was very responsive, professional, and they're competitively priced." "He was timely and professional. He did a good job. I will use their services again!" "Excellent! Free quote and he called days later to make sure I was satisfied." "Apex responded to my service call immediately and was correcting the dishwasher leak in less than 1 hour. He demonstrated a professional, responsive, and knowledgeable conduct and I would not hesitate to call on him again if needed. I highly recommend him and his company." "Apex was in the neighborhood when I called. They arrived promptly at our office, assessed and explained the problem with our refrigerator, had the replacement fan available, installed it, and was on his way. The refrigerator is back in service, cooling and making ice. Apex sure made my job easier!" "After reading the excellent reviews by others I had to try them for myself, although after seeing that they had only been in business since 2009 I was a little hesitant but the service was all that others had stated. Excellent customer service over the phone and in person, probably the best experience I've had in hiring someone to do a job in a while. I would certainly use them again and recommend them to any of my friends and family. Apex keep up the good work." "This kid is on it! I had just submitted my request and he called back within 30 seconds (literally). He showed up in 30 minutes and fixed the problem with my refrigerator in 20 minutes." "Called immediately after placing request online, came out within a couple hours and gave me a very good rate!" "Apex was competitively priced for both parts and service, flexible with my availability, and very professional when they arrived to install our new dryer tub. He came with the correct part, worked efficiently, and had the repairs completed in less than a half-hour even though it required that he disassemble the machine. He even hauled our old tub away with him. Our dryer now works perfectly. 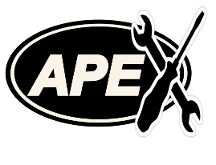 I will definitely call Apex for our next appliance repair needs." If you would like to leave us a review, you can email us at apexapplianceservice@gmail.com or click on one of the links below. Thank you!